I guess what they say is true about picky toddlers. One day Harper will eat something, and the next day she won’t touch it. Her tastes and what she likes and doesn’t like changes on a daily basis. One thing is for sure, and that is Harper LOVES sweets! Uh-oh!!! I also feel like she loves processed foods, but who doesn’t? As a general rule, I try to give Harper fresh fruit, veggies, and home-cooked meals that Matt and I will eat. However, that’s not to say that she hasn’t been slipped a bite of donut or processed granola bar or cracker on occasion. For snack time, I usually spoon-feed Harper some greek yogurt and give her fresh berries that she can pick up herself. While I was giving her a snack yesterday, I was eating a kids Clif Zbar (I know I’m not a kid, but they are good!) Harper pointed and grunted to the bar, saying “Give me some Mom!” (if she could talk). I ended up sharing some of my Zbar and Harper loved it. Mix ingredients together with your hands. 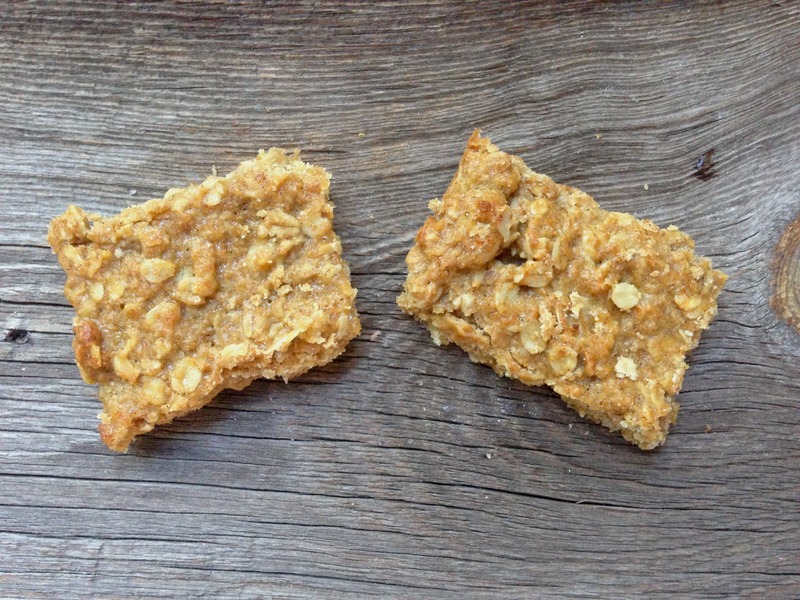 With that said, I want to limit processed foods with her as much as possible, so that’s why I created these playground granola bars. It’s a recipe I came up with 100 percent on my own, and they are really tasty! 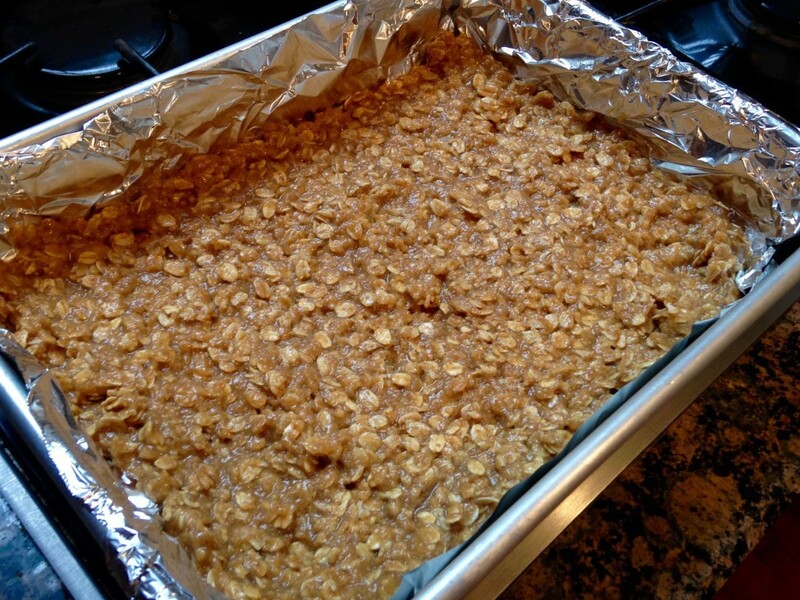 They are great because they are freshly made, and have 2 whole cups of rolled oats, 1/2 cup wheat germ, whole wheat flour, and unsweetened applesauce. I may experiment with cutting out the brown sugar next time and substituting maple syrup. Or I might cut sugar completely and maybe use some cinnamon applesauce. The possibilities are endless! Feel free to also add in raisins or chocolate chips. 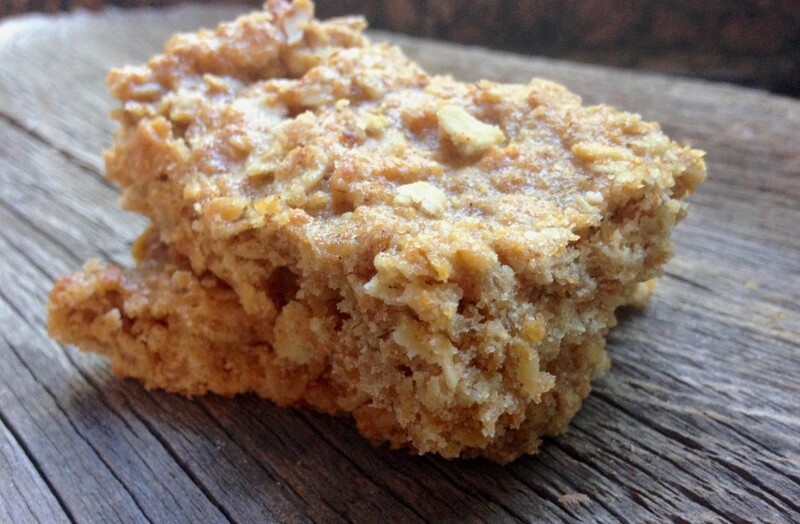 For a fall treat, add some pumpkin puree and pumpkin spice instead of cinnamon. Be creative! Pat into an aluminum foil-lined 9×13-inch pan. Bake for 20 minutes at 350 degrees. Let cool and cut into bars. 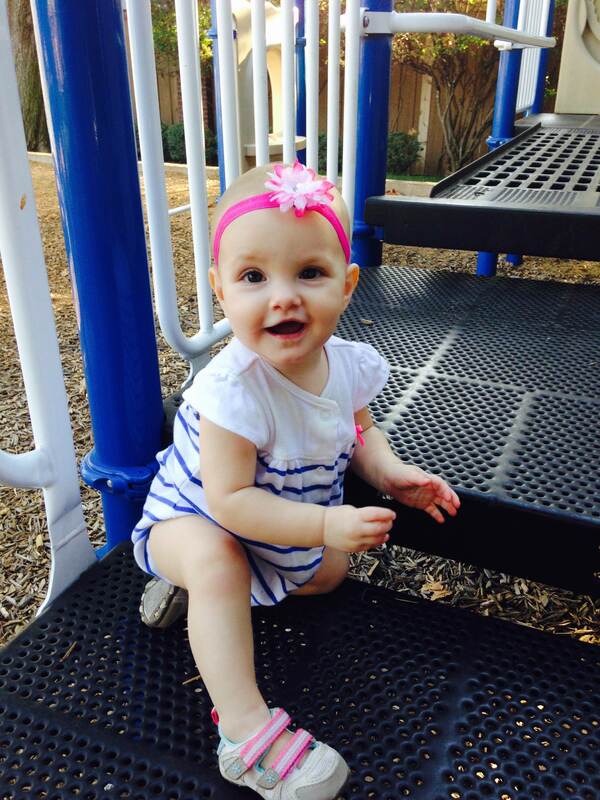 While Harper hasn’t shared any of these granola bars with her playground friends, we plan on doing so in the future! Preheat oven to 350 degrees F. (If using convection oven, decrease the temperature to 325 degrees F.) Line a 9x13 in pan with aluminum foil and spray with nonstick spray. 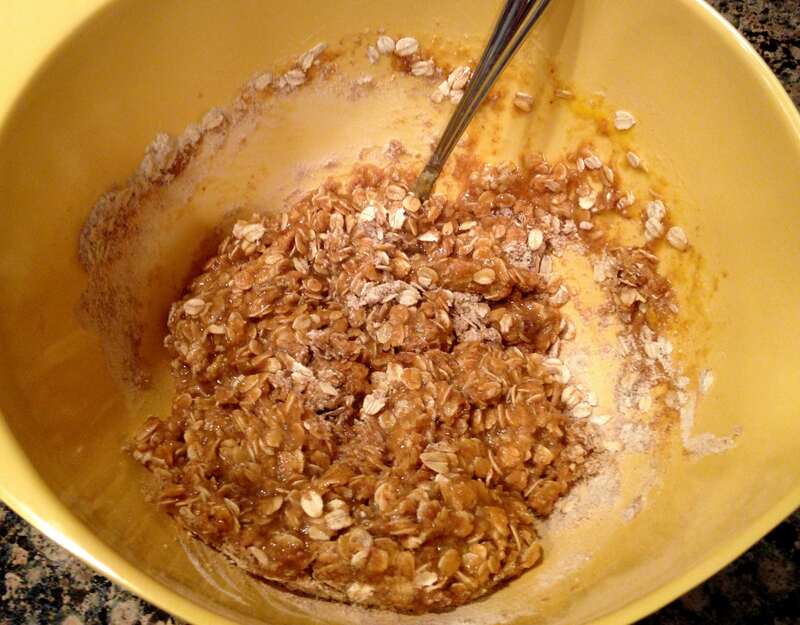 In a large bowl, mix together the oats, brown sugar, wheat germ, flour, cinnamon and salt. Make a well in the center and pour in the honey, applesauce, egg, oil, and vanilla. Mix well using your hands. Pat the mixture evenly into the prepared pan. Bake for 20 minutes or until the bars begin to turn golden at the edges. 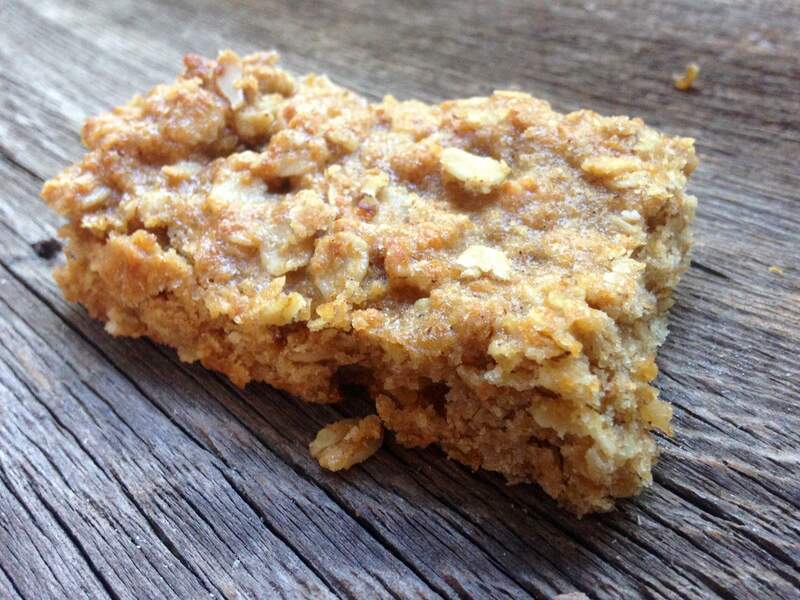 Cool for 5 minutes, then cut into bars.